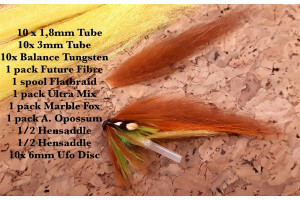 FF Zonker Flies is a high quality product. 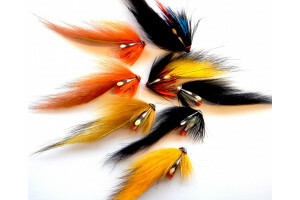 We have been working on these flies for over 2 years. 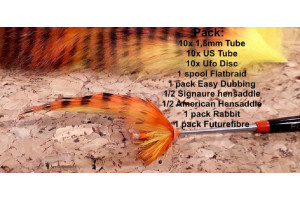 They are are all made of 100% FutureFly products. 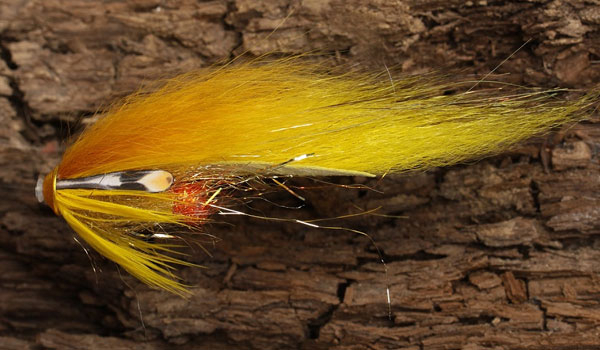 All the flies are tied with a zonkerwing of tapered American Opossum. We with artificial JC They are packed in a dusin. 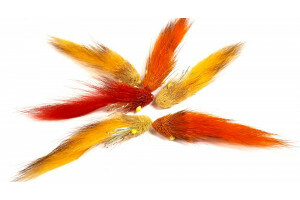 We now also made an assortment of our popular Zonkerflies in a plasticbox, 2 of each color... 14 flies in box With this assortment you are ready for the new season..
FF Munker is one of the most popular salmon and seatrout fly in recent time. 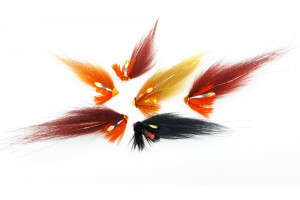 It´s catching a lot salmon in the danish rivers. The munker is with a 5mm FF brass bead. They are packed in a dusin.